I'm a bit disappointed in the seats. Yes, they adjust 750 ways, but they aren't as tight/structured as those in the M car. My back is my Achielle's heel. Still, it's a minor nit, and it's early days; I could change my mind. iDrive 5.0 is an improvement over my wife's 2016 version. I don't have the touchscreen, but don't like 'em anyway. The new 5er has iDrive 6.0. Are the traditional Alpina stripes offered as an option on the B6 in the USA? Well, I know it wasn't on the list I went through. 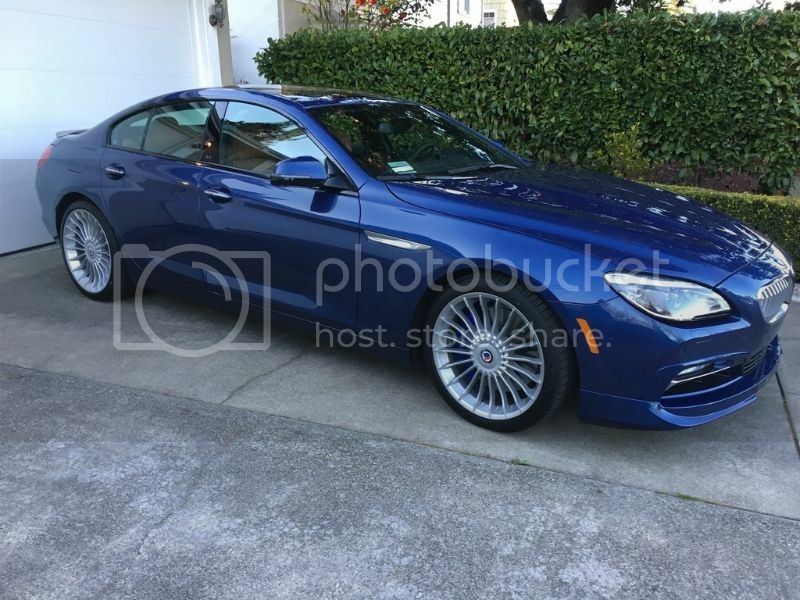 My sales guy seemed perplexed when I asked about the "Alpina stripes" ... he had only sold 1 Alpina, but he was clearly unaware even of the concept.